Huge Savings! 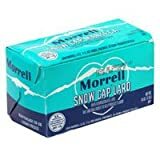 Up to 13% off on Lard & Shortening at Rae Of Sunshine Life. 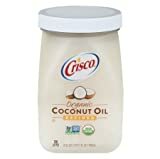 Top brands include Morrell, Crisco, 4th & Heart, Armour, & Spectrum. Hurry! Limited time offers. Offers valid only while supplies last. Spectrum Naturals Organic Palm Shortening , 33 Pounds -- 1 per case. 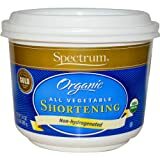 Spectrum Organic All Vegetable Shortening, 24 Ounce - 12 per case.